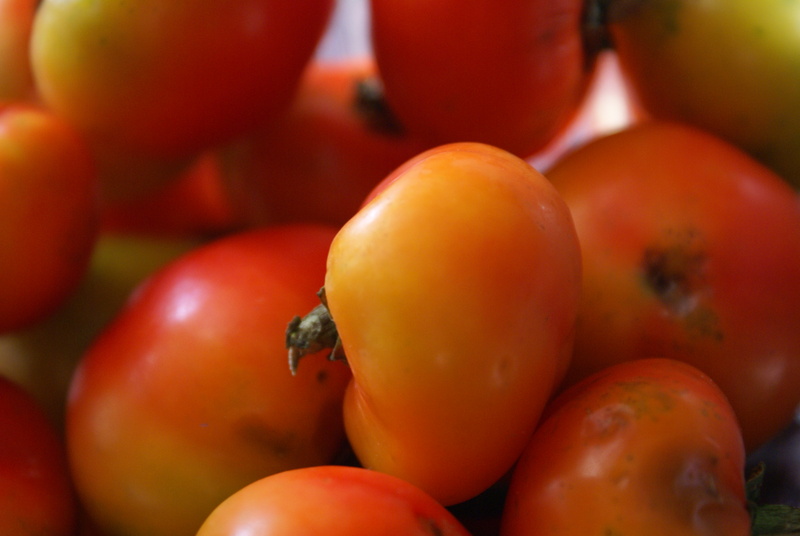 There will likely be no more ripe tomatoes this year. At least not any from around here. The days are shorter, the nights are colder, and it’s only a matter of time before the squirrels or other local rodents devour what remains of a patio garden past its prime. We’ve established I love pickles. 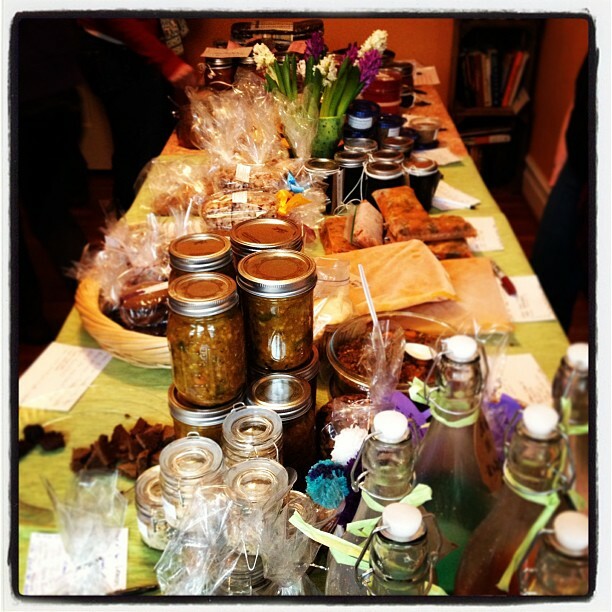 When I think of preserving, it’s the first preparation I turn to instead of just simple canning or jamming. I’ve covered what to do with the remaining herbs and peppers. 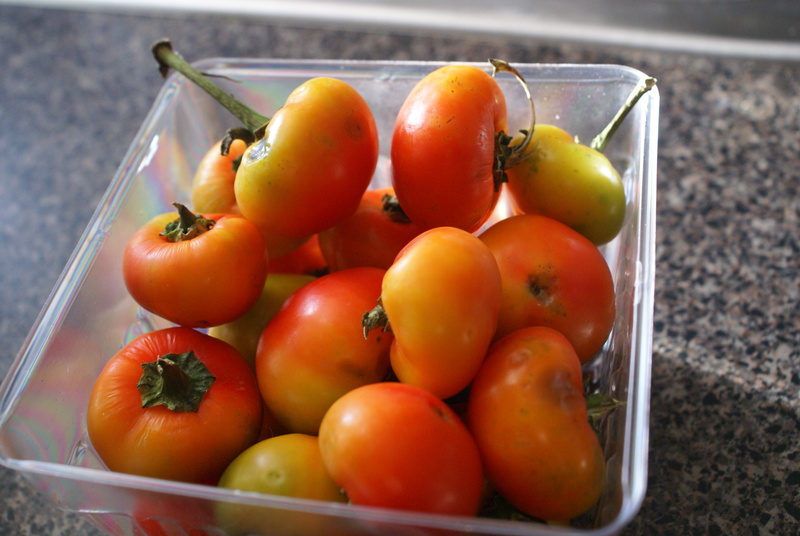 The last thing are the little cherry tomatoes that didn’t make to full ripeness in time. I pulled of the remaining couple of handfuls of tiny green tomatoes, mixed up a simple brine of half water, half white vinegar, a teaspoon of sugar, a tablespoon of salt, and a teaspoon of some pickling spice from the Ruhlman Charcuterie book (that I used earlier in the year to make corned beef.) And that’s it. 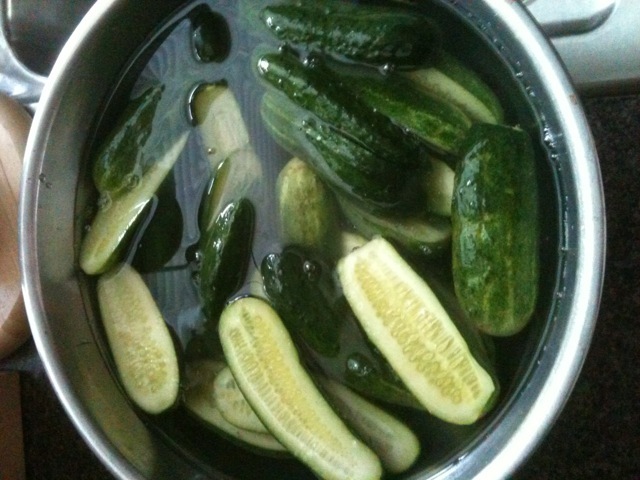 OK, I like pickles, you get it. I like just about anything pickled (though a pickled egg makes me a little nervous, admittedly.) 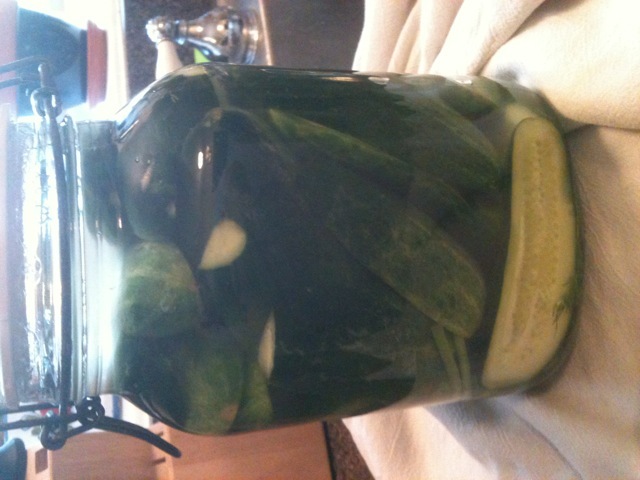 Along with a traditional dill pickle and spicy romano beans (a recipe I promise to cover next time these big fat romano beans come around,) pickled peppers are near the top of my list. I have early memories of eating pickled hot cherry and pepperoncini peppers straight from the jar as a kid. Still today, I’m a sucker for those ubiquitous jarred bright green pepperoncinis. The other day, Michael Ruhlman tweeted a link to an old blog post he wrote about using Michael Symon’s recipe for pickled chilis. When I came upon a generous pint of brightly colored cherry bombs at the Crystal City farmer’s market, I already knew exactly what I was going to do with these. In our backyard patio garden, among the tomatoes and copious herbs, we’ve got two little pots that have been producing pepperoncini and jalapenos at a modest rate. 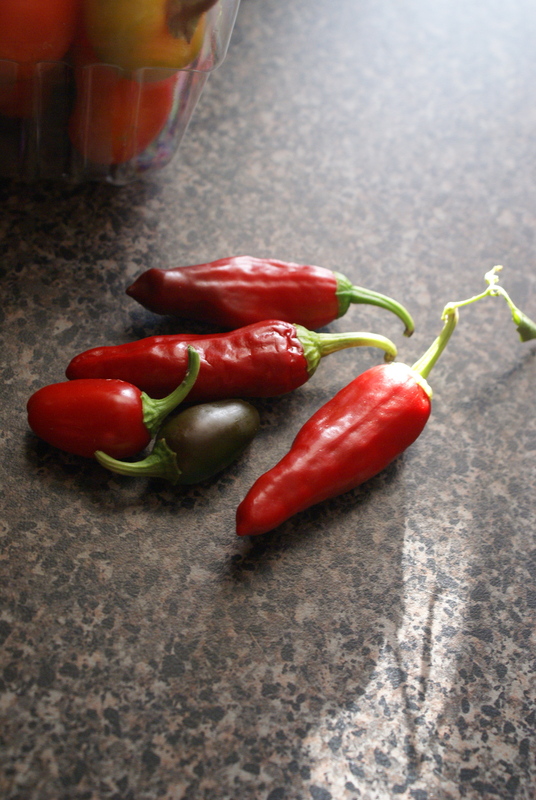 There is one major issue with these peppers, however; they are not hot at all. Would make for a great parlor trick — bite into a bright red jalapeno and eat it whole, amaze your friends with your tolerance for the blazing heat, knowing all along it’s as mild as a bell pepper. With a handful of these still on the branches, I figured I’d throw these into the batch and hope the cherry bombs bring enough heat to spread around. While I was at it, I threw in some backyard thyme, too. 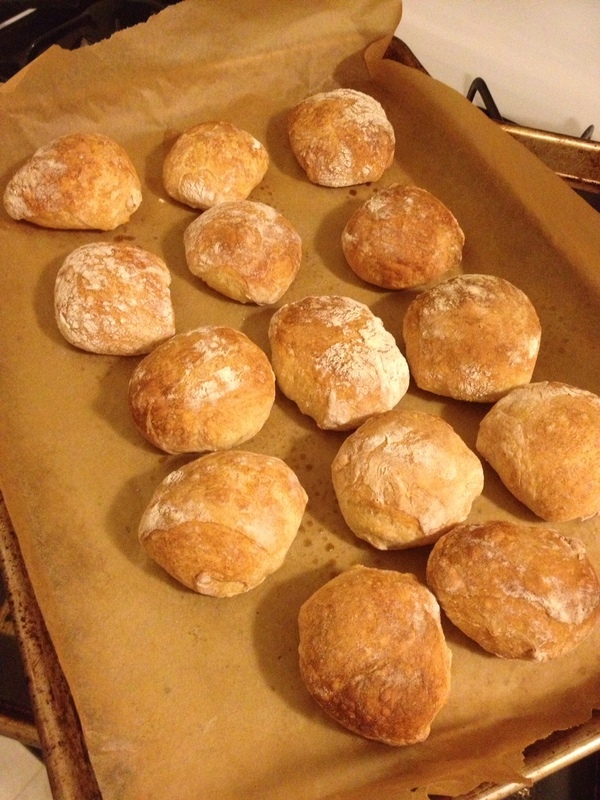 The recipe is real simple and took about 10-15 minutes from beginning to end. Put your peppers in a jar. Heat your brine. Pour brine over peppers. Michael Symon’s recipe called for specific herbs and spices, but I just used what I had on hand. I’d recommend the same. I’ve provided what I used, but feel free to improvise and vary the flavors. Try a different vinegar or herbs. Mix the water, vinegar, salt, sugar, herbs, garlic, and peppercorns in a small saucepan and simmer until sugar and salt are dissolved. 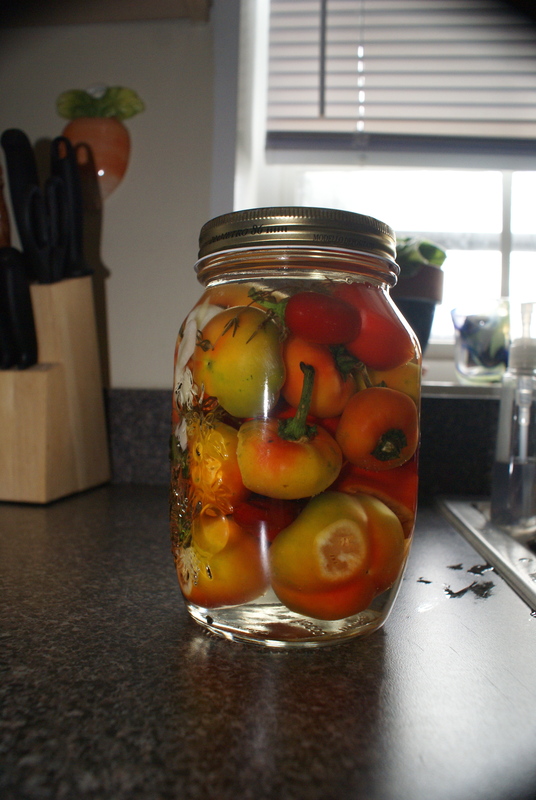 Let the brine cool, then pour over the peppers in the jar, making sure to cover the peppers entirely and refrigerate. Eat these right out of the jar and slice and use for garnish or anywhere you’d use a hot pepper. Since I just put these up, it’ll be a few weeks until they hit their full potential, so I’m holding on trying them for at least a couple of weeks.